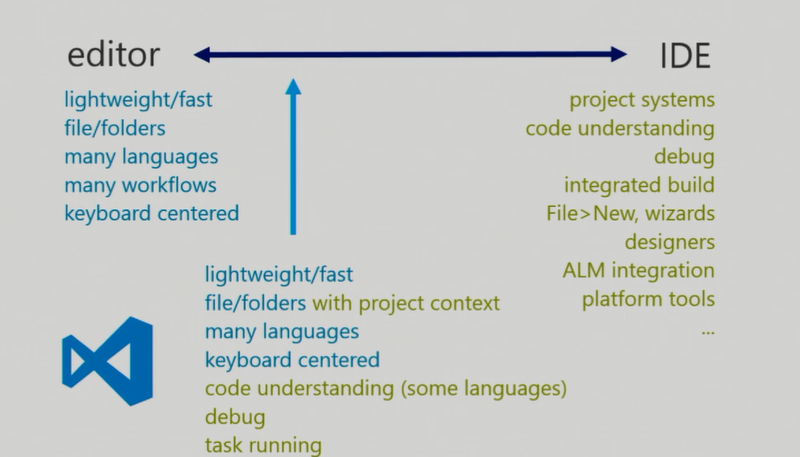 Build 2015 – OpenSource, Partners, visual Studio, Cloud, IoT… Need I say more? Build 2015 was full of treasures. Partnerships, open Source integration, Visual Studio, Azure, IoT were the big areas. New face of microsoft with a focus on open source and 3rd party support like github was a huge part of the Visual Studio suite. The big themes of the conference was developing apps for the Cloud and developing UAP apps with Visual Studio 2015 platform. You could download the preview version of the community one here. It was clear that Microsoft had been listening to the developers and was beginning to integrate with open source tools. Azure was a big focus area where developers from a lot of SMB varying from insurance /accounting to gaming were looking at Azure as a potential platform. In the space of Big data Azure Data factory was an interesting talk about reuse patterns for Big Data with machine learning analysis built in step as part of the workflow. Visual studio tools for converting iOS and Android apps to Windows apps was well received. It is surprising how many developing on iOS using Objective C and were delighted to hear cross platform support for Objective C. The new Visual Studio Code IDE has an intelisense rich environment to build Android apps was a welcomed by everyone. This should be a welcome change from the Android IDE’s such as h Eclipse or Android Development studio. Check the newest member of the Visual Studio family which is pretty lightweight and takes less than 60 Mb of space. Big buzz events of the event were Halolens and support for Objective C and Java. Visual Studio support of Open source software such as Alljoyn and Github and 3rd party software especially in the Big data space and its integration with Visual Studio was very well received. App. Gap between Windows Phone and IoS /Android will be bridged by project Astoria and Islandwood. 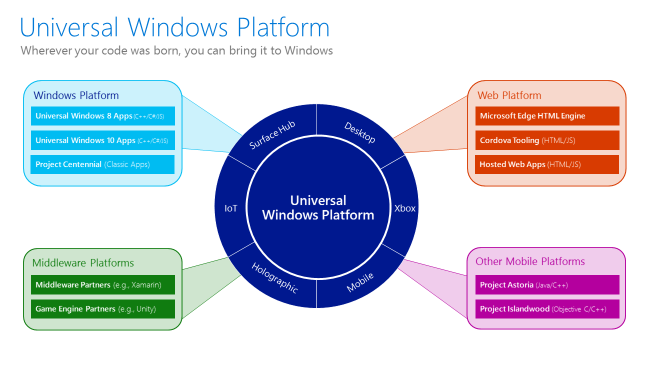 This allows developers to port their existing IoS apps and Android Apps to Windows apps. There maybe restrictions on phone hardware needed to run such apps. This is great news for Windows Phone OEM’s. This I think is one of the best messages not just for developers but also for OEMs to move their first and third party apps to UAP apps from Win32. This was ISV’s can convert their Win 32 apps to UAP apps by using Project Centennial. The apps. can then be purchased using the Store. This helps the apps. to be more secure, less resource intensive and battery freidnly. Key reason for using the browser is primarily around because it will work well with optimized sites, supports Cortana and many other gems such as Web extensions, pointer lock for shooter games and reading lists . IE due to compatibility reasons may not support but with forked code. This allows for edge supportability forked with IE compatibility. The best part is that Edge can launch IE for sites which are not compatible for example which need VB script. Other things are distraction-free offline reading and built-in note-taking & sharing. 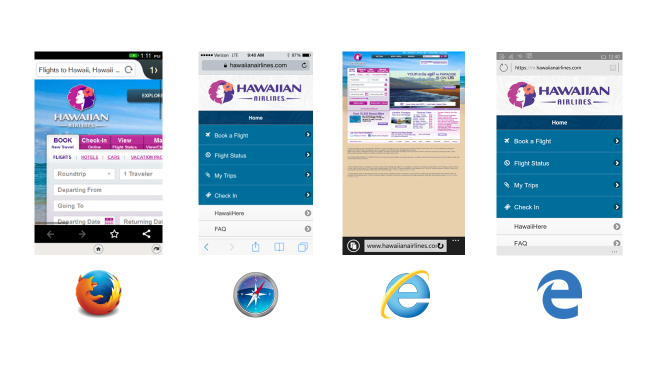 Below is a comparison of Alaska airlines website on a mobile device. Please ask folks from outsider to join the insider program to get an early feel for Windows and provide feedback as the feedback is taken seriously including for UX. The builds with new features are flighted directly to the system. Think about how your app. Scales to the big screen. Scaling which depends on pixel density and viewing distance. There is no rule of thumb that a desktop has higher scale than a mobile phone. 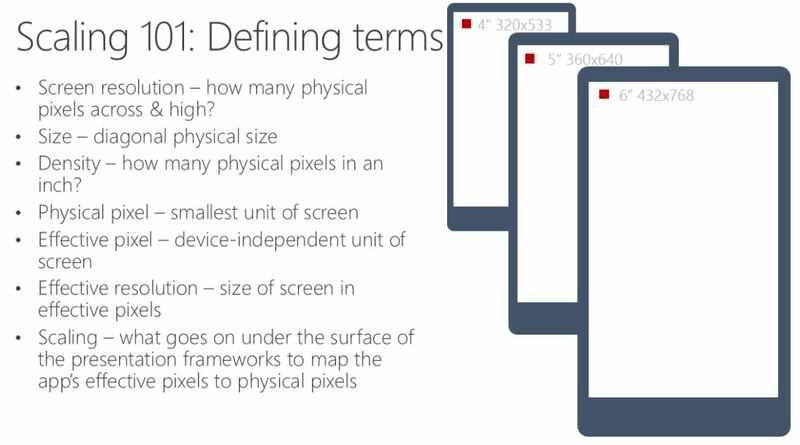 It is primarily dependent on pixel density and viewing density. 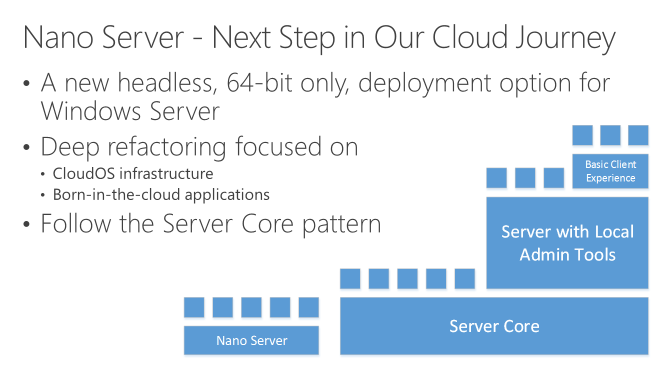 Nano Server – Nano server doesn’t just remove features but is a self contained engine. Microsoft defines its Nano Server as a “headless, 64-bit only deployment option for Windows Server.” It’s like Server Core, except that it’s 20 times smaller. The compressed size or reduced server “footprint” brings a number of benefits, including fewer security vulnerabilities to address, reduced patch and reboot times, and scalability improvements. Lots of great talks on IoT. Some of the interesting ones given below. Windows itself is evolving with feedback from Insider program. Instead of fixed set of design the design is evolving which appears to be by design and is sometimes misconstrued as instability. The other comforting thing for developers is that the new browser edge which is a UAP was designed using the same tools as a developer would use for their own apps. 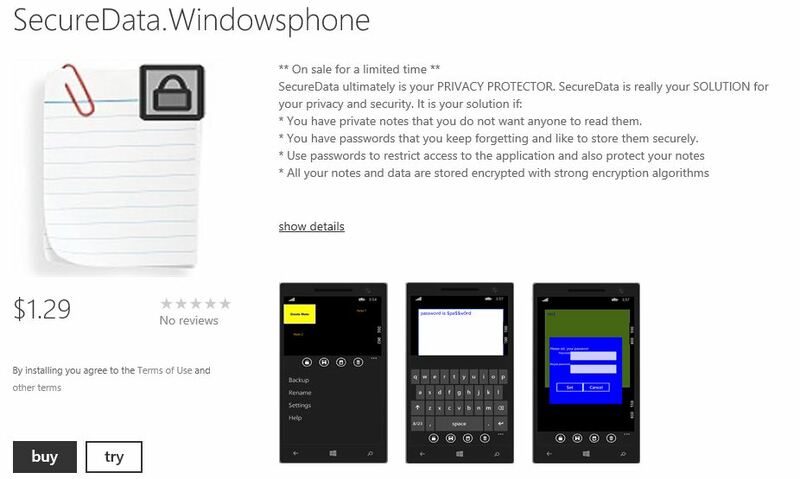 One $tore for all Windows Platforms One can now link apps meant for Windows Phone to Dekstop.1 submission for all, 1 certification but and 1 pricing. Typically the greatest common denominator if one has apps on both mobile and Desktop is chosen. The base price from is chosen from Windows (desktop), screen shots are chosen from both to give user flexibility, category is chosen from windows(desktop) etc…There is the option of having multiple packages for old OS 1 package. The dashboard is on dev.windows.com is redesigned. Join and give feedback on Windows Insider – This feedback contributes to many things including UX design etc. Try Cortana – Scenarios such as weather, how much RAM do I Have? The build app. Was great to get the summary of all sessions in case you are curious on any developer topic. The app. Works on Windows, Android and iPhone platforms. In this competitive world it is difficult to not compare. I looked at the 3 of the more important key notes of developer conferences. Build in my opinion had one of the best key notes. The Google key note was dull and lacked appeal, IoS on the other hand was not bad but Apple ecosystem is very limited compared to what Microsoft covers. Build had powerful demos and tremendous wow factor with Halolens especially. We will see more in a couple of weeks when Apple and Google 2015 conferences are held. 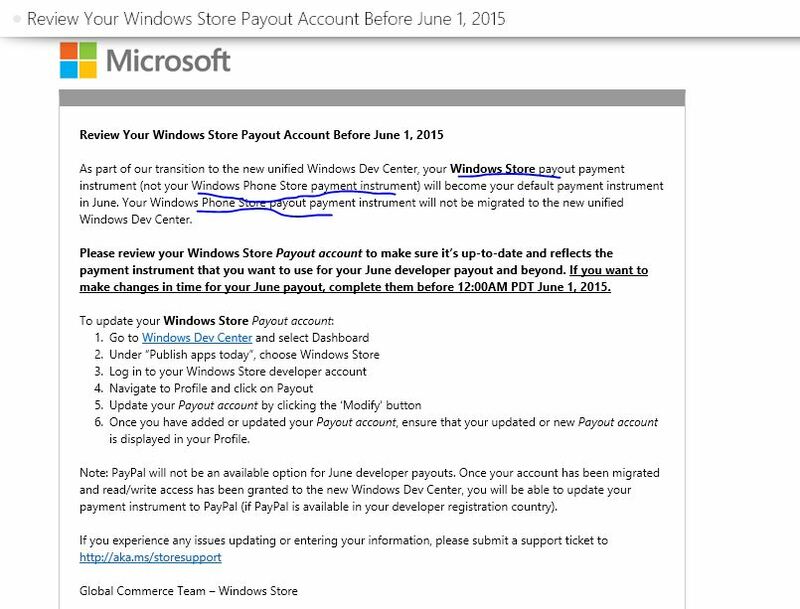 This entry was posted on May 27, 2015 at 11:05 pm and is filed under Developer Conferences, Windows Development. You can follow any responses to this entry through the RSS 2.0 feed. You can leave a response, or trackback from your own site.